Food glorious food, what is it we live for? NEW YORK STORIES – Food Pt 1. I love food and I love dining out. New York is a mecca for good affordable eateries, one can be clever and eat at famed dining establishments without breaking the budget. I made it my mission to sample a few. The trick was lunchtime outings sitting at the bar chatting to the excellent bar staff sampling the fare from a cheaper menu sometimes fix prix, smaller portions which was a godsend – it became a regular occurrence on my agenda. 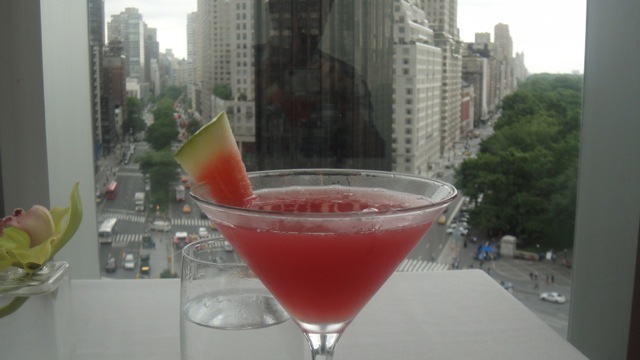 Oh and did I mention the fabulous cocktails? 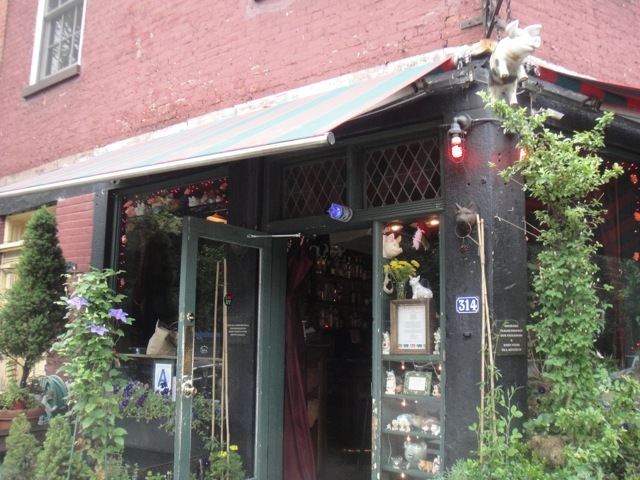 Here’s to the ladies who lunch…..
Del Posto, The Dutch, The Spotted Pig, The Breslin, Locando Verde were major highlights. In the early evening a bar sitting afforded you a spot that within a few hours saw hungry diners queueing outside leaving you to head into the night full of fine food and a few tasty cocktails, very jolly indeed!! 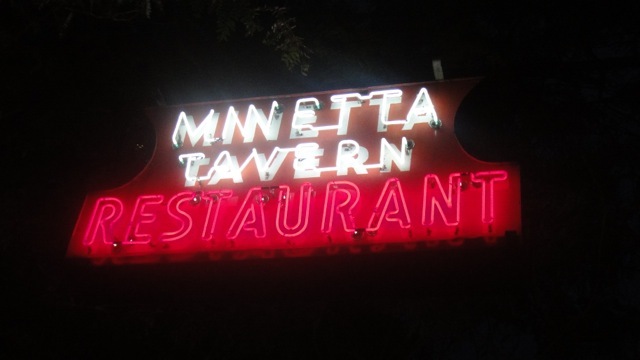 Famed Minetta Lane Tavern was a superb experience and pizza at Pulinos on East Houston in the East Village along with fresh organic fare at Prune across the road have etched fond food memories on my palate. 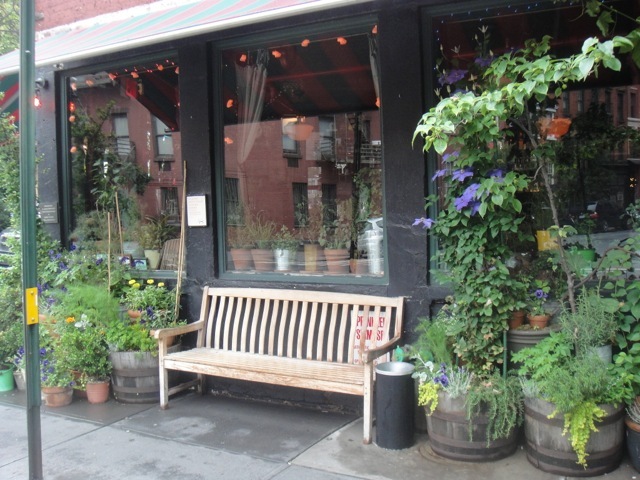 I’ll attempt to share a few of those experiences in coming New York Stories food posts – something to salivate over. 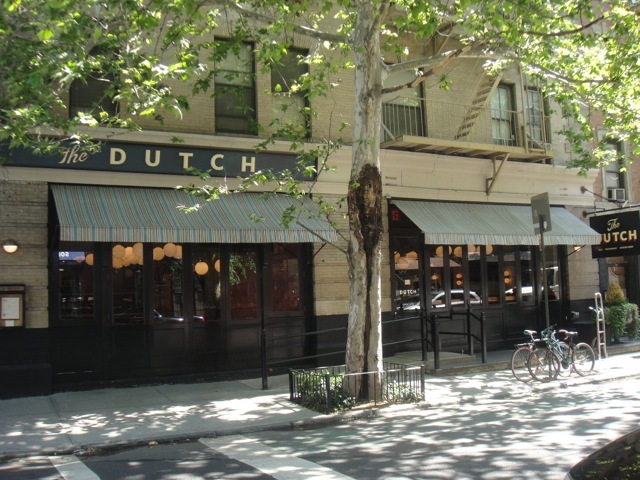 The Dutch in Soho, I ventured there 3 times. 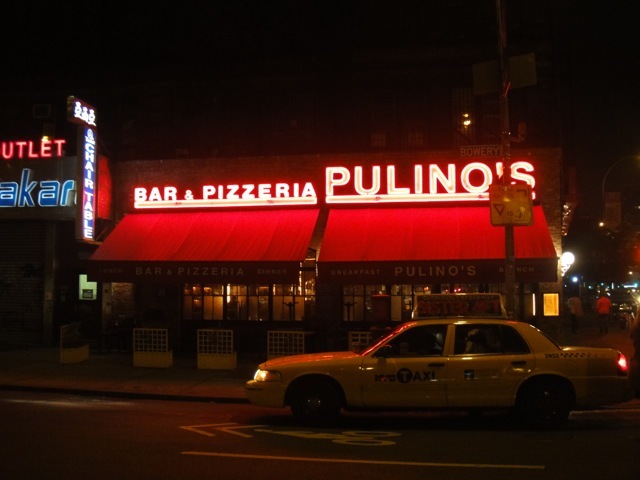 A late night pizza at Pulino was my first meal on arrival – bellissimo!! !